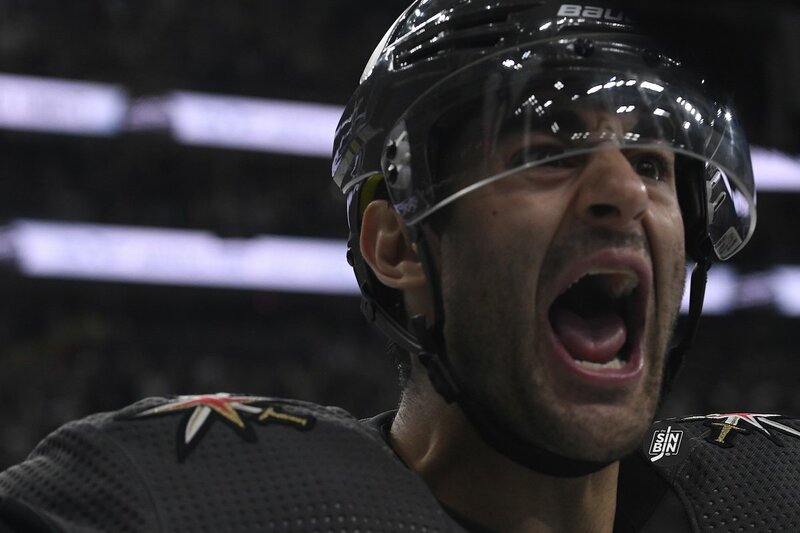 Max Pacioretty was a Golden Knights fan long before he ever became a Golden Knight. The reason for that is his sons, Lorenzo and Maximus fell in love with the team in the playoffs last year. When Pacioretty told his sons he was traded to Vegas, they wanted to know which logo the Golden Knights were on their NHL bed sheets. Unfortunately, because the sheets were a few years old, there was no Golden Knights logo. Luckily, Max had a backup plan because he knew his boys would remember the pregame shows they watched together last year in the playoffs. And right in that snap second, I see their eyes just light up. I know I don’t even have to finish the sentence. The boys, not only do they remember Vegas from the playoffs last year……. they loved Vegas in the playoffs last year. So there’s no question Pacioretty has been thinking of Sunday night’s game for a while. His first playoff game as a member of the Golden Knights at T-Mobile Arena. It was always going to be special, and it was always going to be a memory he’d share with his kids. Then, one of his sons made a request, one he’s never done to his NHL superstar father before. That’s a lot of pressure. About eight minutes into the 1st period and just a few seconds into Evander Kane’s 4-minute high stick penalty, dad got it done. He took a pass from Shea Theodore, walked in towards the goal and sent a laser of a shot past Martin Jones. Pacioretty carried the burden onto himself though. Not even his own linemate, Mark Stone, knew that Pacioretty kind of had to score in this game, otherwise, he’d be letting down his four-year-old son. Maybe little Pacioretty should demand it more, so Papa Max fires at will. But it wasn’t just the goal that Pacioretty looks forward to sitting down and re-enjoying with his kids tonight. 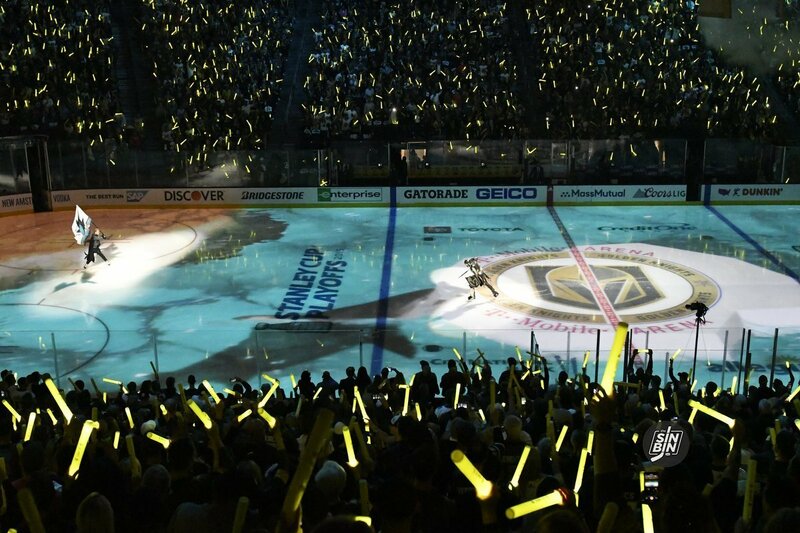 The new opening ceremony, the battle towels, the goals less than :30 seconds into every period, the Reaves/Kane fight, the final score, you name it, this game had it all from a Golden Knights perspective. Heck, even those light sticks were pretty cool. I thought they were swords. This crowd is awesome. This is the best building to play in, especially as the home team. Even when I was here on the road as a visitor it’s just so much fun to play in, but also so difficult. I’m happy to be on this side with our fans for sure. But most importantly, the game met the demands of Max’s son. 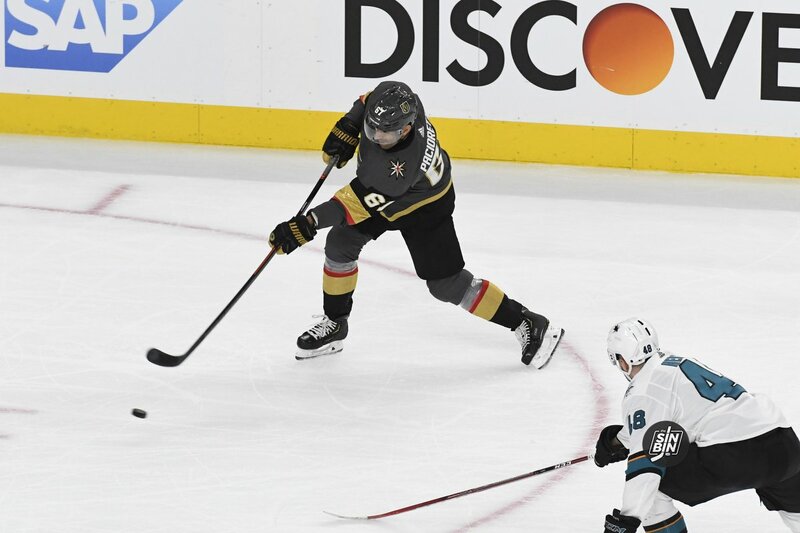 Pacioretty scored in his first home playoff game in Vegas, the first time his boy ever asked him to do it. That’s a heck of a memory, one both Paciorettys will never forget. However, Max says he can’t go asking Dad for a goal every night. Have a feeling he might try anyway though, and I’m in favor of giving it a shot. Great job Ken. You and Jesse are killing the playoffs so far. Love these little backstories on the players and their families. Could not agree more. Nuance stories like this reflects the unique relationship this team has with its fans. Jesse is the reason I subscribe the the Athletic. With stories like this, Ken you can think of a future charging a subscription. This is so great. Thanks for sharing the more intimate side of playoffs. Outstanding story. Sometimes we think of these guys as just players on the ice without taking into account that they have families and personal lives just like the rest of us. 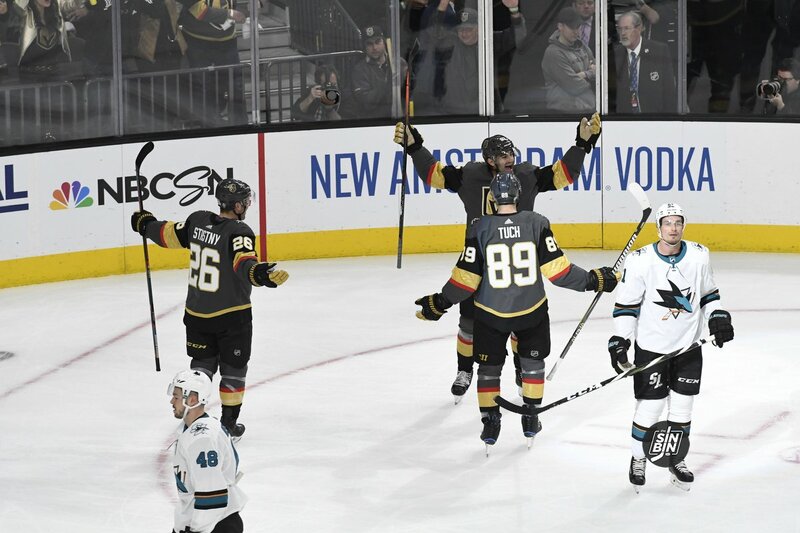 Last night will be remembered among the all-time moments of Vegas hockey, and stories like this make it even more fun. Well-written Ken. Nice piece of work. Thanks Ken, love Sinbin, keep up the great work, appreciate the insight. Once again, nice work Ken. Nowwwww, I’ll go read the Players Tribune article since I know that you always “stick the landing” so to speak. PS – What is your observation on Nikita Gusev sitting in the stands with his wife, baby, and our crew in the family section BoceMb (ocho), for (just???) this game? I think they just wanted him to soak it all in for a game. I’m sure he was quite impressed. Heartwarming story featuring one of our favorite Knights! I just shared it with my husband to be sure he didn’t miss this piece. I got emotional reading this story, but then again I get emotional every time I read an amazing story about one of our Knights. I LOVE THIS TEAM. GO KNIGHTS GO.